There’s this common notion that Root canals are painful. We at Dr Kandhari’s skin and dental clinic believe in providing our patients with a painless and comfortable experience while getting an RCT done, as we believe if our patient is happy and comfortable half the battle is already won. 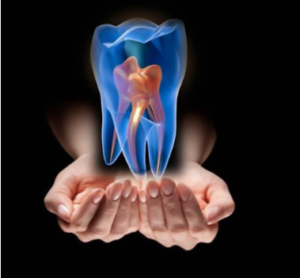 Root canal treatment or endodontic treatment is basically treatment of the nerve or pulp of the tooth. When there is decay or infection in the tooth which has been left untreated it spreads through the enamel and dentin layers finally reaching the nerve and causing pain and discomfort. In such cases the only way to save the tooth is by doing an RCT. Following this a tooth colored aesthetic ceramic crown is placed on the tooth to protect it from biting forces and prevent breakage and fracture. We at Dr Kandhari’s skin and dental clinic believe in saving the natural tooth at all cost before we contemplate any other treatment. Our expert endodontist always encourages a single sitting root canal therapy to minimize discomfort for the patient. This also greatly reduces the chances of infection in the tooth and is much more convenient for the patient wherein he does not need to come for multiple visits. Following the completion of RCT we highly recommend a full coverage crown to protect as the literature suggests every RC treated tooth should be capped. There are various types of crowns available nowadays, with time slowly metal in crowns is being phased out to avoid metal allergies in patients. Also porcelain fused to metal crowns can lead to unsightly blackish metal exposure at the crown margin over time or in some cases grayish discoloration of the crown. Hence, we recommend aesthetic all ceramic crowns with a perfect shade matching for a perfect smile.